Here’s another great way to stay in touch with us – subscribe to the electronic edition of our customer newsletter Connect! 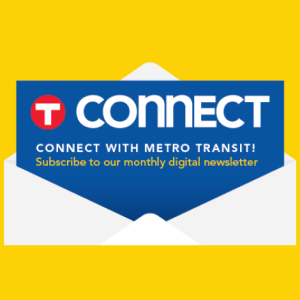 Each month, you can get the latest transit news and information about service changes, partner promotions and transit-friendly events. Subscribe by clicking the button below and entering your email address.